Brits are burning a staggering 51,428 calories a year in the garden, according to a new study. Research commissioned by Argos found that the average green-fingered adult spends almost five more hours a week working out, compared to non-gardeners. Gardening can have a great impact on fitness, wellbeing and even sleep, the study found. Some 78% of regular gardeners claim it reduces their stress levels and 80% report better nights in the land of nod. It also found the average green-fingered Brit could burn 632 more calories (compared with non-gardeners) per month. 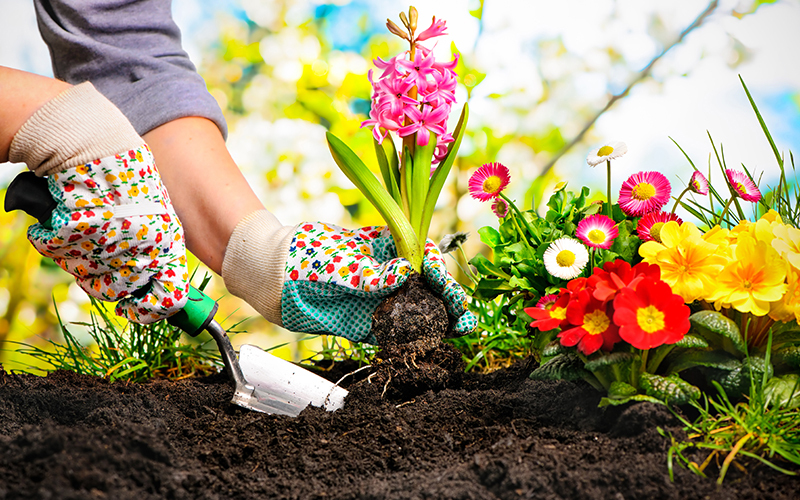 Gardening expert David Domoney, who’s partnered with Argos to develop a Recommended Daily Allowance for gardening of 30 minutes a day, says “Most people enjoy working in their garden, because it gives them a mental boost. So, which jobs burn the most calories? Pushing a mower up and down the lawn for 35 minutes can use up 200 calories. Pulling up stubborn weeds for 35 minutes can burn 158 calories. Raking is vital to let your lawn and plants breathe – it’ll also work your upper body and burns around 120 calories in 30 minutes. Streamline’s own piece of research shows the key reasons for staying active or being more active is to lower the risk of illnesses, for long terms health and de-stressing. Summer is the perfect time to get active and give your lifestyle that boost you’ve been planning since January and where better than our own gardens! But, just like all exercises, do warm-up before launching yourself into an intensive calorie-burning session and perhaps plan for a little reduced sugar snack to enjoy afterwards!